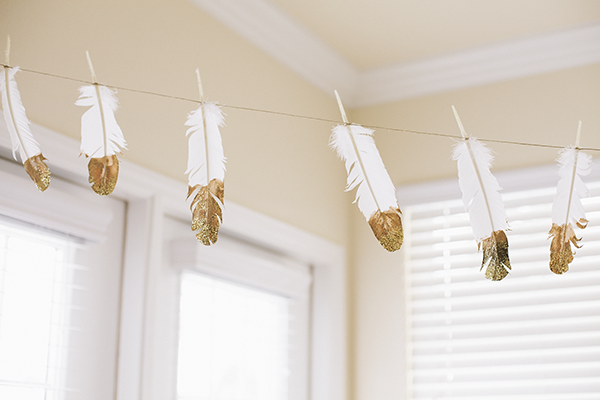 I saw this feathery little idea last year and decided that this would be just the thing to bring some Thanksgiving spirit into our new home away from home. 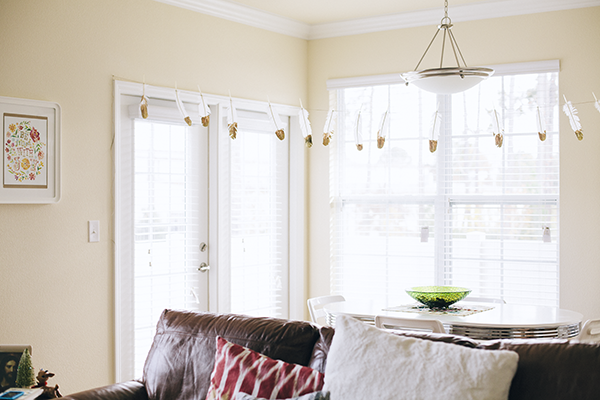 We hung it it above our table, where we will enjoy a small but happy Thanksgiving feast with some good friends. We are so excited to be celebrating a holiday away from the hospital... even if Jason is still recovering and will be limited to only soft food at dinner (the doctor said he supposed Jas could have a bit of turkey too if it was very easily cuttable with a fork—so no pressure there to make the most tender, juicy turkey ever... yikes!). 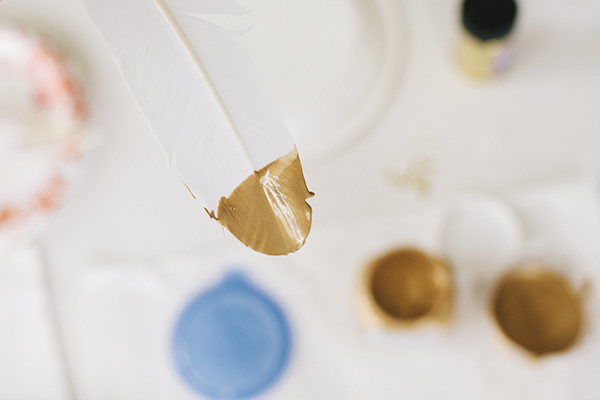 In case you might want to make your own beautiful glittery gold feathers, here is a step by step. It was easy as can be. 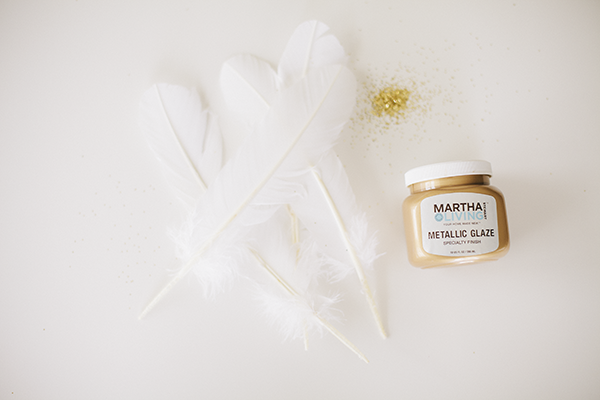 Gather up the supplies and string, dip, glitter, and dry. Voila! 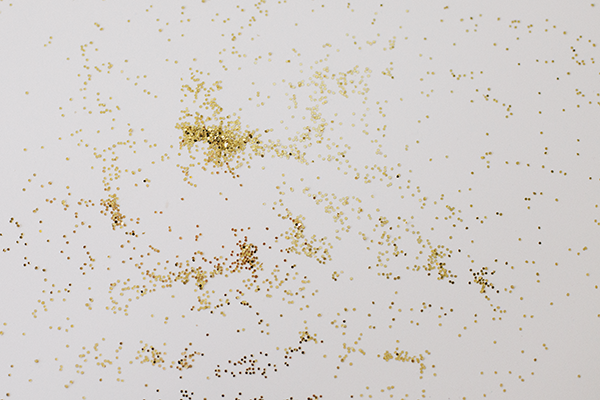 Have you heard the quote "Glitter is the herpes of craft supplies"? That stuff gets around. 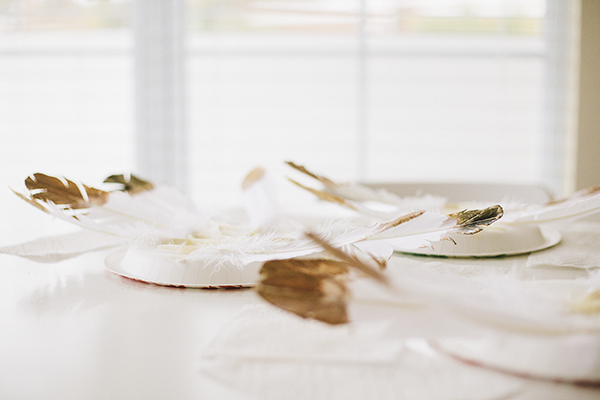 They would be just beautiful in a vase to pretty up the Thanksgiving table, or a simple feather set next to each table setting. 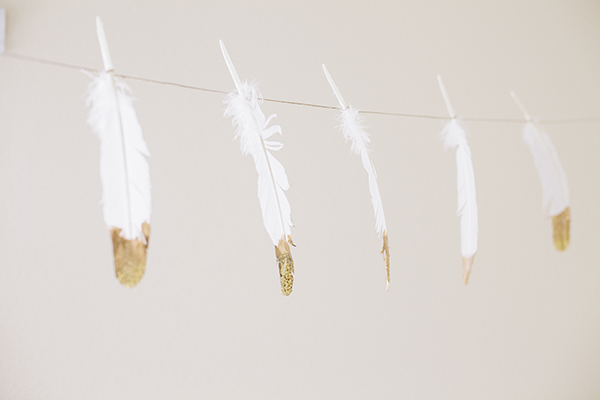 I'm thinking they might be a nice, feathery, addition to the Christmas tree! I could a little obsessed. This is super duper cute!!! The little glimpse of your casa looks darling as well!! Good luck with that turkey!! Ohh man Geri That is super cute!! 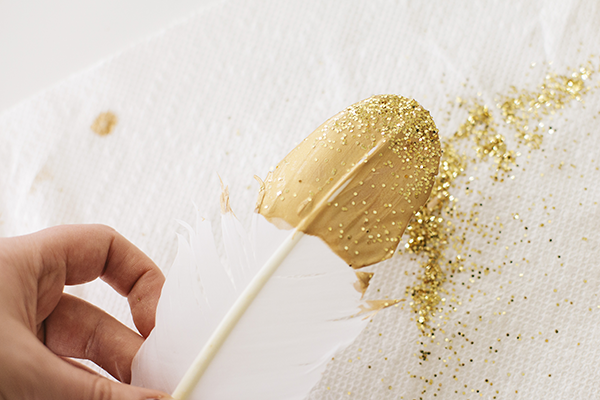 i'm a huge fan of glittery feathers and you've struck (literal) gold with this one. well done! Way cute.. going to have to copy:) And I love your place. Looks so bright and comfy. Pretty cool finding your blog. I blog at kelleyblogs.com and live in NC. Welcome to NC. I am glad your husband seems to be doing a little better.